Imagine, if you will, a day when everything, and I mean everything, is connected to the Internet. Not just your thermostat or your home security system. Or your appliances. I’m talking everything – your clothes, your carpeting, your car, your mountain bike, the trees outside your home, the street signs, the roads you drive on, the drones flying overhead delivering pizza, etc., etc., etc. This is what is called the Internet of Things (IoT), and according the Justin Grammens, the editor of IoT Weekly, a weekly e-newsletter, within the next three years, more than 20 billion “things” will be connected to the Internet. I met Justin about a year ago over a cup of coffee, through my wife Rebekah Dupont, who leads the STEM program at Augsburg College in Minneapolis. 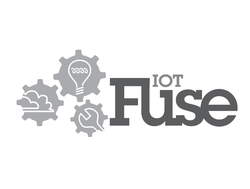 We recently re-connected, just ahead of IoT Fuse, an annual conference that draws more than 1,000 IoT enthusiasts from across the Upper Midwest. As a co-founder of IoT Fuse, a non-profit dedicated to growing the IoT industry segment in Minnesota, Justin has been at the forefront of the IoT industry. In his “spare time,” Justin and his partners lead Lab 651, a software engineering firm that works with a range of companies, from start-ups to Fortune 100 corporations to develop IoT products and applications. In this conversation, we explore what IoT means for consumers as well as businesses and government units, and the practical applications of how IoT will transform our world as we know it. As a communicator and marketer, what I found of most interest in speaking with Justin is how the access to data supplied through IoT sensors and devices will help transform the world of marketing and communication. What we do as marketers is help people solve their problems. More data will help us to better understand the challenges and needs of humans, which will allow us to develop marketing solutions that better meet those needs, including more relevant and authentic content that connects and engages with a brand’s customers at a deeper level. With that, here is my conversation with Justin Grammens, founding partner of Lab 651. Stephen Dupont: Gartner estimates that within the next three years, more than 20 billion “things” will be connected to the Internet. When we speak of IoT, what types of things are talking about? Thermostats, gas fireplaces, lights, alarm systems, wearable devices like Fitbit, etc. — could you help us define the landscape for IoT? Justin Grammens: The IoT landscape is massive. The conceptual nature of the Internet of Things goes beyond just the objects you mention in our home being connected to the Internet. It extends to a world where everything is connected to the Internet. Your car, your office chair, machines on the factory floor, streetlights, garbage cans – and much more — all connected. Look around you today and think about how ordinary everyday objects could be improved if they had intelligence and were connected to the Internet. This is what the IoT promises. Stephen Dupont: What excites you about IoT? What do you see in terms of potential for this growing industry? I read recently, that some analysts are comparing it to mobile phone technology 15 years ago. Justin Grammens: Great question. There’s a lot to be excited about! First off, I would say that we as humans have not grasped the true nature of what is possible when we begin to employ being fully connected. No one can argue that the wave of mobile computing that happened 15 years ago changed the landscape of how we communicate and interact with each other today. At the time, I was one of the strongest proponents and leaders of the mobile community here in the Twin Cities. What has changed is that it’s not just the mobile phone that can serve as an interaction point. It is anything and everything that is around us! Our homes, cars, schools, businesses and our cities are all becoming connected. And it’s not only the wider spaces that have potential, but the close and very personal ones as well. For example, wearables such as Fitbit, an Apple or Android Watch, or an implantable medical device such as a pacemaker or insulin pump – they’re all becoming smarter and feeding data that promises to help make our lives better. 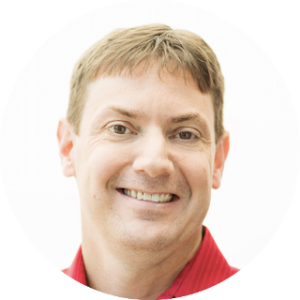 Stephen Dupont: How did you get your start in IoT? Justin Grammens: While the term the “Internet of Things” was coined back in 1999, it’s only in the past five years that we have seen the growing usage of the term to describe this concept of everything being connected. Around 2010, I started playing with an open source hardware software platform called Arduino. I was amazed at how easy it was to write software to control hardware that would connect the Internet to the physical world. Myself and a co-worker started a local user group in 2011 called Arduino.MN and quickly discovered there were are a lot of people working in their garages and basements using not only Arduino, but Raspberry Pi, BeagleBone and a whole host of other free and open source pl atforms to do amazing things. In 2014, I co-founded the first Internet of Things Hackday, during which teams competed to build the best IoT device in 12 hours. Soon after that, I co-founded IoTFuse, a 501(c)(3) non-profit to advance and position Minnesota as a leader in the Internet of Things. We do this through conferences, meetups and makeathons. We value the spirit of innovation with IoT technologies and how they can be used to improve our lives. Stephen Dupont: You co-own a connected products development firm called Lab 651. What does your business do? Can you share what it was like to start your own business? Justin Grammens: Lab 651 (www.lab651.com) helps businesses bring their smart, connected products to market. We are experts in our craft and offer product and industrial design services, embedded and firmware engineering, and mobile and Cloud-based web application development. By having these capabilities under one roof, companies from startups to Fortune 100 corporations come to Lab 651 for help with building products. We have the expertise and flexibility to assist in-house teams at any level. If you need help in only certain engineering di sciplines, we can offer that. If you need us to complete the entire project, from start to finish, we can do that, too. I’ve been lucky enough to find two other founders, each with more than 20 years experience, who share this passion to build smart, connected products. Starting your own business is an extremely intense process. I think many people don’t form their own business out of the fear of what could go wrong. Instead, I like to focus on the positive of what could go right! You won’t know what could happen if you don’t try. While owning my own business is one of the most difficult things I’ve done, it’s also been one of the most rewarding, and I have never regretted it. Stephen Dupont: What do you think are the most common problems that people want solved with IoT devices or systems? For example, I love the ability to be able to raise the heat at my cabin before I leave (it’s a three-hour drive), and arrive to a warm or cooled cabin. What are other problems that you see that need to be solved? Justin Grammens: I like the example you cite about controlling the heat at the cabin. However, let’s take that one step further. What if the system automatically raises the temperature factoring in your location, estimated travel time and current temperature? This is an example of a human task that will eventually be done by a machine with artificial intelligence. Some other problems that are being solved are all around us. Google is using our phones to give us real-time traffic data to improve Google maps. While that helps us today to know that there is a crash ahead, what if that was fed into your car and it automatically was able to alert you to slow down because of an impending accident ahead? Or even re-route your vehicle? This would increase road safety immensely, as well as traffic flow. In the medical space, devices that are impacted now can send data in real time and on much more frequent intervals to a physician. 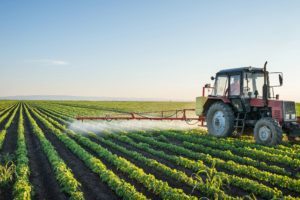 Sensors in farm fields give feedback to tractors on where to apply more or less fertilizer and inform the irrigation system on how much water to use. Drones are being used for search and rescue missions, and supplying medical equipment and resources to disaster areas where vehicles would not able to access. Connected garbage cans, manufactured with sensors and connected to the Internet, allow cities to only pickup garbage when the cans are full instead of on a weekly schedule, thus saving on pollution and wear and tear on streets. There are new advances and ideas like these emerging every day all over the world. Stephen Dupont: IoT means having the ability to collect, store and at some point, analyze data collected from devices that are connected to the Internet. Can you comment on the power of gathering and analyzing data and how that can improve the lives of people, or the performance of an office building, or the performance of a manufacturing process? Justin Grammens: In the space of an office building or factory, companies are using sensors to monitor the vibration of the machinery to predict when a machine may fail and turn it off. Turning off a machine before permanent damage occurs can save companies hundreds of thousands of dollars. Better to stop and repair a machine than to completely replace it. General Electric (GE) is already employing some of this technology in aircraft engines as well. Aircraft engines are constantly logging information and adjusting and tuning themselves based on real-time usage data. Stephen Dupont: With more data available than ever before through IoT, how can people/organizations determine what data really matters? Is there a process or an approach to prioritizing data that you would recommend? Justin Grammens: Up until now, the mantra in the industry has been to “collect it all as often as you can.” While I see value in that statement, since you might end up with a set of data that might have not been worth anything, it could become extremely useful in the future. However, you have to weigh that with the cost, power and communication limitations that these devices are under. Additionally, while disk space is cheap and you can easily add more storage in the Cloud, there is processing that needs to be done on any data you collect which takes time and money. I typically will try and hone down what is absolutely needed today from a data standpoint and then ask what might be a nice to have in the future. The key here is that we can build hardware that contains ALL the sensors they want today and in the future but then through software updates tune what we will send. As the product goes into the market we might only read from half the sensors since that is what we think is needed, but after people use the product and we start to understand the market we will release updates that turns off or on the other sensors within the product. Another approach I use is to deploy a gateway, a piece of hardware that all these devices talk through to access the Internet. Gateways can be built with a lot of storage and processing power so they can collect all the data and then just report to a server in the Cloud only what we deem to be important. The software on this gateway then can be updated over time as well to help shape what really matters. Stephen Dupont: Do you see jobs being transformed by IoT? For example, instead of an HVAC tech going out to service a commercial AC unit or a refrigeration system, maybe they could run diagnostics on the system from their office first to determine what might be wrong, and then schedule service appropriately? Justin Grammens: Absolutely! Allowing for a remote view into appliances is one area where we’ll see changes. In fact, some day you might arrive home and the replacement part for your connected refrigerator will be sitting on your porch. In that case, the refrigerator knew it had a problem and went ahead and ordered the part! Pretty cool. This is actually already happening in many industrial applications such as manufacturing, agriculture and even automotive. For example, Tesla is leading the way, but many car manufactures are connecting their cars to get remote diagnostics and push software updates. In the near future, if you need service on your car, the dealer will be alerted, a time will be scheduled and when you arrive at the dealer, they will have whatever part needs to be replaced in stock and ready to go. Stephen Dupont: In the world of medical devices and biotech, there are specific geographic areas around the world where there are clusters of medical device and biotech companies as well as institutions of higher learning to support those clusters. Is Minneapolis beginning to form into an IoT cluster? Are there other markets that are become home to large groups of IoT businesses and academic institutions? Justin Grammens: Not only the Twin Cities, but in a broader sense, Minnesota is absolutely forming into an IoT cluster. The reason this is happening is because of our diverse economy. We have a strong retail presence with Best Buy and Target, a strong medtech presence with Medtronic, Boston Scientific, the Mayo Clinic and others. Our agricultural sector is very strong with Cargill here, transportation and logistics with C.H. Robinson and other leading industrial companies such as 3M and Honeywell. IoT touches so many areas that in order for it to grow and become a game changer you need to have multiple vertical industries diving in and doing innovative things. It’s where these industries overlap that massive breakthroughs will happen and you’ll see disruption occur. Finally, we have a solid track record of investing in education in Minnesota, so we have the talent right here to build the products. Sure, you might see other places such as Boston, Silicon Valley or Austin as hot spots for IoT companies (along with major universities), but they don’t have the economic diversity that Minnesota offers. And, with the cost of living in those areas being so much higher than here in Minnesota, many companies are looking to Minnesota to become a leader in the IoT. Stephen Dupont: If a student wants to study IoT, what do you think are the top colleges or universities in the U.S. or world where IoT research is being conducted? Justin Grammens: To my knowledge, I was the first person in the Upper Midwest to teach a graduate level class on the Internet of Things at the University of Saint Thomas in their Graduate Programs in Software School. I’ve been teaching this class now for two years. I believe the University of Minnesota offers a similar course as do some online universities as well. Stephen Dupont: As humans rely more and more on technology, how can IoT help improve the human experience? How can IoT help humans be happier and healthier? Justin Grammens: The more you know, the better decisions you can make. I tell people that the IoT is really about creating one massive information system. Today many people are solely focused on the devices and what data to capture. I get that we need to figure that out. However, in the future when you have this data and machines can start analyzing it much better and faster than any human could, this is where we’ll see some real benefits to humans being happier and healthier. In January of this year an article was written in which they trained a machine to learn what cancer cells look like and it trained itself to make diagnosis based on data fed to it. This has been done with lung cancer and number of other illnesses over the past year. Machines are much better at pouring over all this data than any human could and it has the power of analyzing more patients than any one doctor could. Stephen Dupont: Within IoT, what trends do you see? What should we be watching for? What’s next? For example, do you see a day when our clothes and shoes are infused with sensors? Do you see sensors being implanted in our skin to connect humans directly with the Internet? Justin Grammens: It’s scary to think about where this all might lead. Certainly companies are already selling smart clothing including shirts, sox, shoes, etc. I’ve even seen connected soccer balls and basketballs to help trainers understand ball flight and pressure, etc. As long as value exists in these things being connected, you will see our world increasing becoming connected. Likewise, with sensors that are implanted, I definitely see cases where it makes sense. Keeping our loved ones safe and the ability to do biometrics data collection, for instance. It’s just a matter of time before the technology gets so small and power efficient that it will make sense to have chips embedded. What scares me however is what this data might end up being used for. While we all might have good intents today, in the wrong hands this data can be harmful. The legal rules around getting personal information that would come from something being implanted in you and how it could be used is still a little murky and the last thing we all want is Big Brother watching over us. Stephen Dupont: Do you see IoT connecting with other technological developments such as clean energy technology, mobile currency, virtual reality, robotics, artificial intelligence? If so, how? Justin Grammens: All of the above and more! Any place where one can see value in putting sensors on objects to learn and improve their experience or process, the IoT will grow. It could be argued that the Internet of Things is really a superset of the Internet and one in which the concepts of connectivity are able to push intelligence from the digital to the physical world. Our tagline at Lab 651 is “Connecting the Physical World to the Digital Universe,” which sums up the IoT. Stephen Dupont: If someone wants to know more about IoT, what groups could they join? What books should they read? What conferences should they attend? Regarding books, I would recommend: Designing the Internet of Things by Adrian McEwen and Hakim Cassimally. Finally, I would be remiss if I didn’t mention the weekly e-newsletter that I edit. Based on my passion with the IoT, I am constantly looking for the most important news, the best articles, and interesting videos about the IoT. 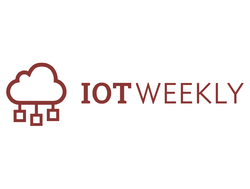 I share my recommendations in the IoT Weekly. If you want to learn more about IoT, sign up for my e-newsletter. Stephen Dupont: Thank you for sharing your insights about the Internet of Things with our readers. If you enjoyed this article, check out my other articles at stephendupont.co. Stephen Dupont, APR, is VP of Public Relations and Branded Content for Pocket Hercules (www.pockethercules.com), a brand marketing firm based in Minneapolis. Contact Stephen Dupont at www.linkedin.com/in/stephendupont or visit stephendupont.co. Stephen Dupont, APR, is an expert in public relations, branded content, marketing communications, and branding. Based in Minneapolis, he is vice president of public relations at Pocket Hercules. He also writes extensively about marketing, careers, change and other business topics.